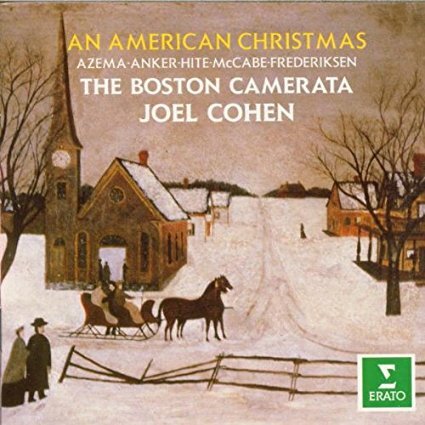 Self-Absorbed Boomer: Boston Camerata, Joel Cohen conducting, "Jesus, the Light of the World." Boston Camerata, Joel Cohen conducting, "Jesus, the Light of the World." The opening phrase of this one, published in 1890, bears an uncanny resemblance to the Going Home theme of Dvořák's New World Symphony, composed circa 1893. It is tempting to see the similarity as more than coincidental: was Dvořák in fact familiar with this song? Could he have been reluctant to acknowledge his debt to such a lowbrow source as this? Getting back to the question: was Dvořák influenced by "Jesus, the Light of the World"? To my ear, there's a similarity, but not a convincing one. Perhaps Dvořák heard the song and the progression of notes stuck in his memory without a reference to its source. As likely as not, though, as the American Music Preservation piece linked above suggests, it was based on some half-remembered folk theme from Dvořák's native Bohemia. Perhaps, too, he simply made it up.